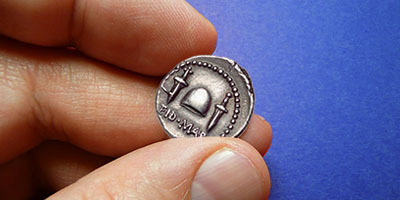 SC Ancients is owned and run by James Andrews, a numismatic specialist with a degree in Classical Archaeology from Edinburgh University. He is a specialist in ancient numismatics with a passion for the Severan Dynasty, the Achaemenids and pre-Roman Italy. 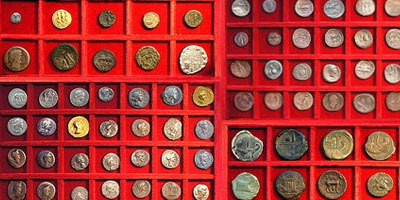 Our specialities lie in specialty coin sourcing and assisting with valuation and sale of collections. We have excellent relationships with many of the top dealers & auction houses around the globe and are constantly travelling hunting for those hidden gems! We travel the world, so you don't have to. 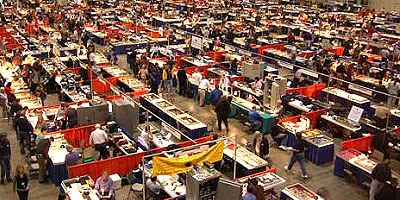 Visiting shows and auctions to ensure we see everything that is on offer. Coin collecting online still hasn't fully matured and most choice pieces never see the internet. We can find that special piece for you offering peace of mind on quality, valuation and authenticity. Over the years forgeries have become much more sophisticated and with it detecting them has become much more difficult. Beyond our own personal experience and extensive check list, we have also developed a computerised method to compare photos of your coin to a database of known forgeries searching for die matches. We are able to both offer guarantees on coins in your collection and where our travel schedule allows, also verify coins in person prior to high value purchases. Our appraisal services are available for those looking for accurate insurance quotes, or to part with their collection. We understand this is a difficult process as for many a collection has been built over many years and the market is constantly evolving, our goal is to help you find a true and honest value. Should you decide to go ahead with a sale we can explore many different options with you to help you realise the maximum value from your collection.